Hwy 101 mile marker 149. 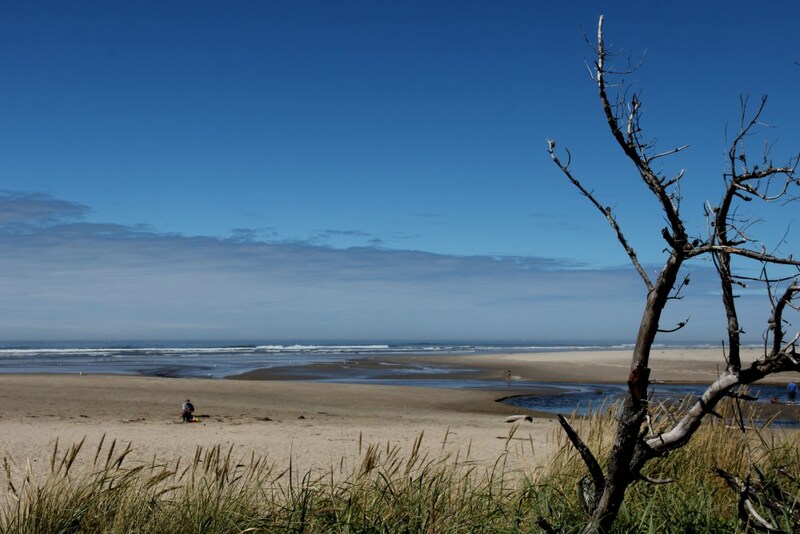 Ona beach State Park features a large flat beach. Kayak tours are also offered in the summertime. You can kayak through the Beaver Creek wetlands for 5 miles up to South beach. 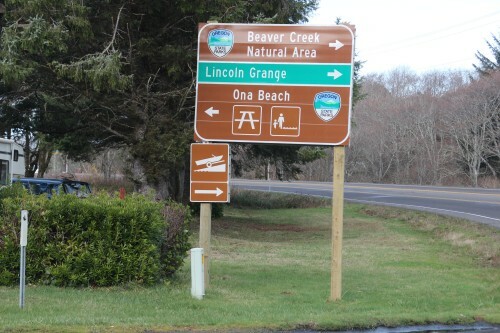 Note that Ona Beach has been renamed to "Brian Booth State Park" in 2013. 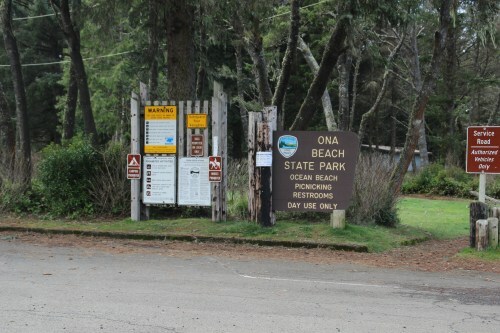 Oregon Parks link:Ona Beach No fee required. 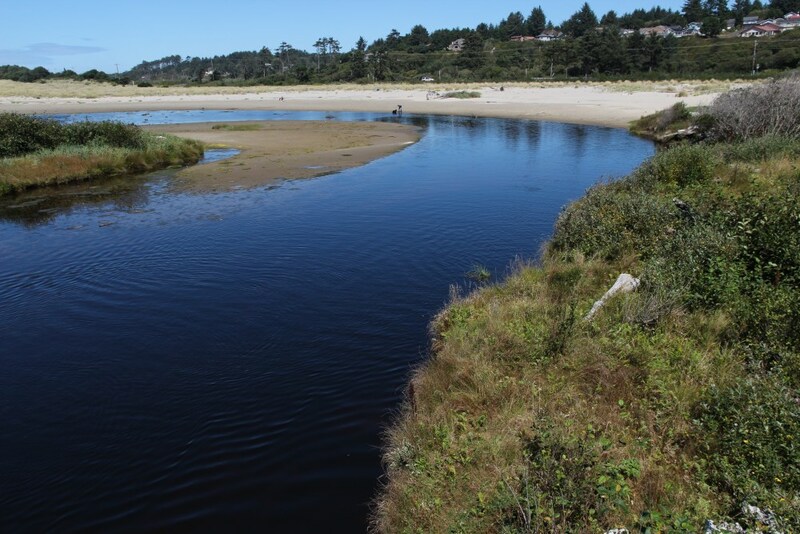 Note that the link will have the new name ("Brian Booth State Park"). 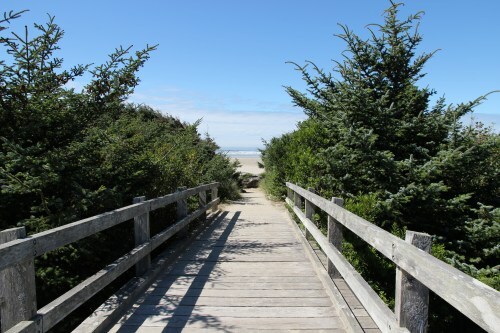 This bridge takes you over a lovely clear creek to the beach area. Here's the creek. On the day the photo was taken, I had to wait until some kayakers passed under the bridge. Here's a view looking out from the beach area.